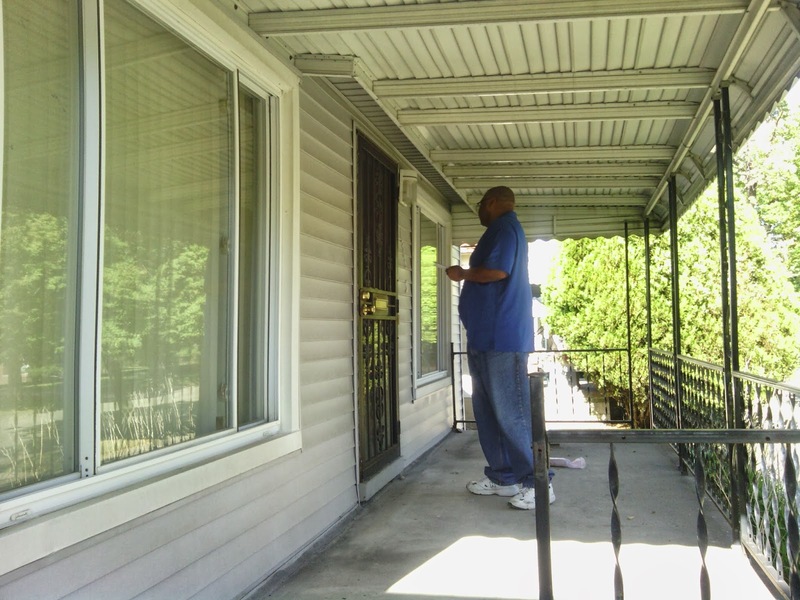 As Detroiters prepare to elect a new mayor, city council, city clerk, and police commission next month, most of the candidates have been knocking on doors across the city. The Warrendale neighborhood has seen its fair share of aspiring political leaders on our respective doorsteps. 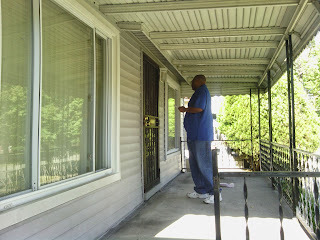 Ricardo Moore, a candidate for the police commission who this blog has already endorsed, spent much of the afternoon yesterday canvassing Warrendale east of the Southfield Freeway. I caught up with him as he knocked on doors on Rutland and Memorial Streets. Moore previously canvassed homes in Warrendale west of the freeway. This is in addition to campaigning that he has done throughout the district. I have also seen other candidates, such as Gabe Leland who is running for the City Council district seat in our area, campaigning door-to-door in Warrendale.